For that special couple in your life-- Learn to make a double wedding ring wall hanging! We will show you a special technique using Marti's tools that make this project much easier. 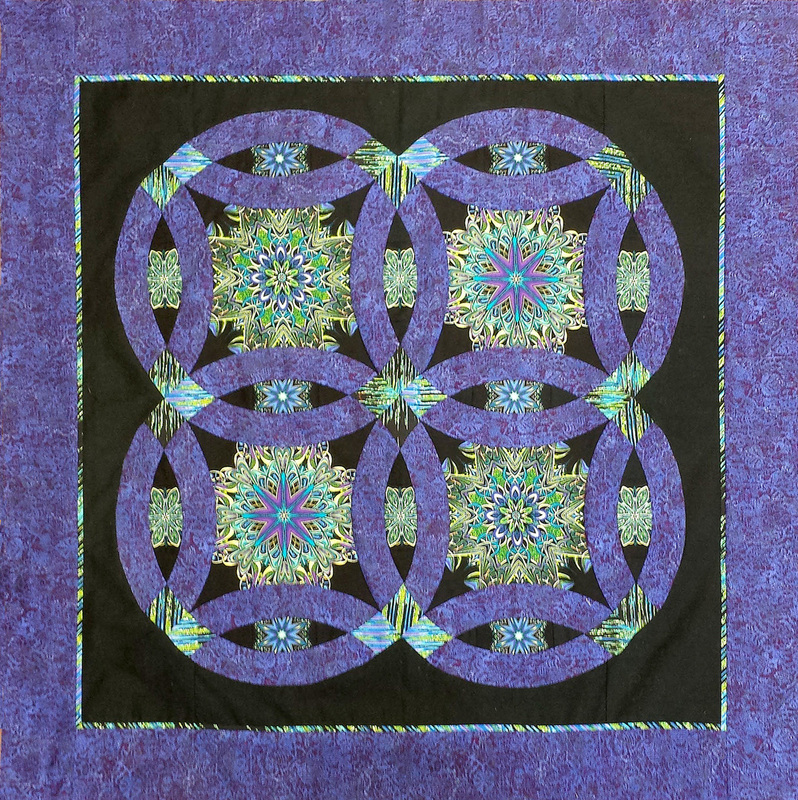 This is a great quilt to make before tackling a large bed sized quilt. Centers and Mellons: 1 yards. 1/4 yard each for arcs and ends.